Broadband/high-speed Internet is available to your business through many avenues: Digital Subscriber Line (DSL), Cable Modem, Fiber, Wireless, Satellite, and Broadband over Powerlines (BPL). How do you know which broadband is right for your company? How do you know that your ISP is providing you with an Internet package designed for business and not something meant for a residential connection? Have you done the market research to find out if what you're signed up for is a good deal? With Internet consulting from QuestingHound Technology Partners, we are able to accurately assess the Internet needs of your business by taking inventory of the online tools you use, along with the Internet-enabled solutions your company will want to add within the next five years. We are then able to recommend a high-speed connection that will fit your needs perfectly! The Internet is revolutionizing how business gets done. Is your business taking advantage of these web-powered solutions? The Internet has changed so many aspects of workflow that a company doing procedures the same way it did five or even ten years ago, will be behind the times. For example, the Internet has come a long way with IT services by allowing companies to outsource their IT needs with managed services, which saves a business big money when it comes to IT costs. Virtualizing your IT network and business applications to the cloud is also another great money saving solution brought to you by the Internet. QuestingHound Technology Partners can inform you about these and other great Internet solutions that will give your business the competitive edge by freeing up resources to grow your company. 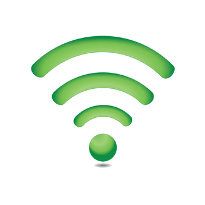 Have QuestingHound Technology Partners find you an Internet provider that you can be confident about, call us today at 954-727-2200 to learn more.